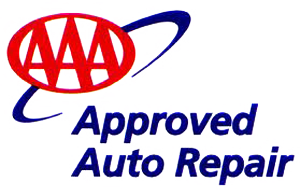 Looking for an approved AAA auto repair shop in Petaluma? Look no further than Northbay Automotive! We are a California State Automobile Association (AAA) approved auto repair shop. We are registered with the state of California Bureau of Automotive Repair for repair and smog. Specializing in Volvo, Domestic, and Asian automobile makes and models, we service Ford, General Motor, Jeep, Honda, Nissan, Subaru, Toyota, and the fast growing Volvo products. In Petaluma since 1989, our trained ASE technicians have been servicing & repairing automobiles and fleet vehicles. Our excellent attention to detail and quality of service has allowed us to proudly serve CSAA / AAA auto repair members. If you desire excellent service and auto repair from a California state Automobile Association (AAA) approved auto repair shop, come to Northbay Automotive at 929 Petaluma Blvd. South, Petaluma, CA 94952. If you are unfamiliar with Petaluma, click here for our map .